I was using RubyMine 4.5 for a while. All of my remote connections are working perfecly, all mapped, auto upload etc. 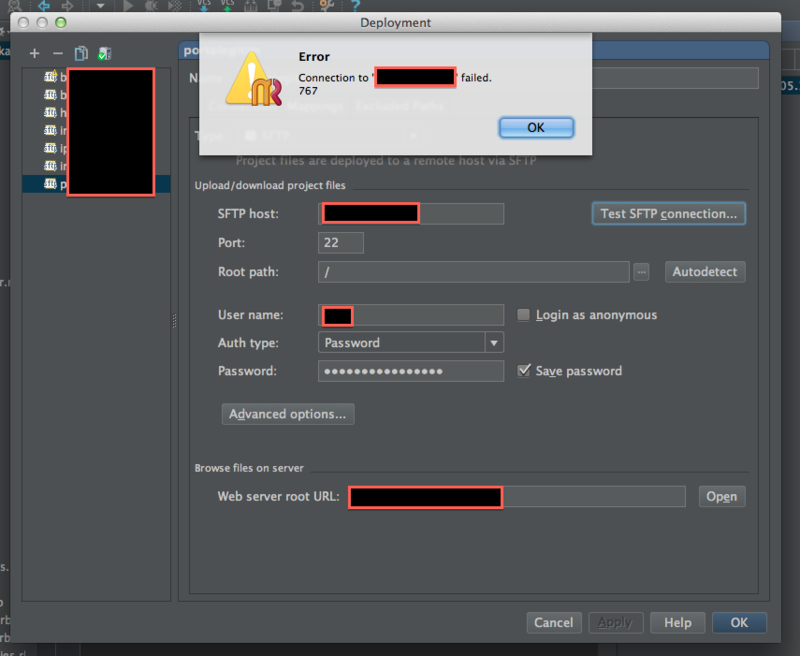 But suddenly it stopped and started giving out this error i have added as a screenshot. Whenever i click test connection, the error pops up suddenly, meaning it is related to RubyMine or any other daemon that RubyMine uses for connections. Then i tried to try RubyMine 5, but nothing changed. I've searched google for hours yet i couln't find anything. Is ther anyone experienced similar errors? are you able to connect to the host from command line? Also I'd suggest to look in RM's log (Help|Reveal Log in ...) perhaps it contains more useful information. I've found out my known_hosts file has been damaged.